From Your Can-Am Parts Headquarters. 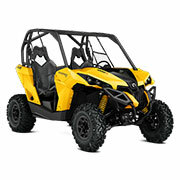 Can-Am parts nation,Can-Am parts, Can-Am Renegade parts fiche, Can-Am Outlander parts, Can-Am OEM Atv parts, Can-Am ATV parts fiche, Can-Am online parts. 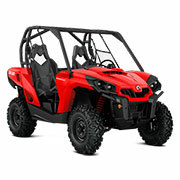 Big selection of Can-Am Accessories including, Can-Am Renegade Accessories, Can-Am Outlander Accessories, Can-Am Accessories, Can-Am Accessories, Can-Am Covers. 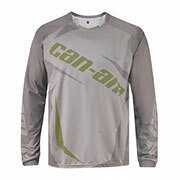 Can-Am Atv Apparel, Can-Am Renegade apparel, Can-Am apparel, BRP Apparel,Can-Am Sport Apparel, Can-Am Outlander Apparel,Can-Am Apparel. At Can-Am Parts, we offer OEM parts for motor and watersport brands that operate under Bombardier Recreational Products (BRP). These include Can-Am, Sea-Doo, and Ski-Doo. If you're looking for parts for one or more of these land and watercrafts, you've come to the right place! With thousands of genuine parts to choose from, you'll be able to quickly find all that you've been looking for in no time. When you choose OEM, you're purchasing quality parts made directly by BRP for specific models, so you'll get a perfect manufacturer fit every time. 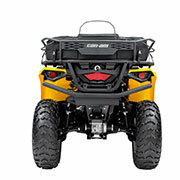 Browse our Can-Am ATV and Side x Side part inventories, as well as Sea-Doo watercraft and Ski-Doo snowmobile parts. Ranging from recent years to 1999, our Can-Am ATV OEM parts inventory has all the parts you need for your specific ATV. Whether you own a DS 250, Renegade 500 EFI, Rally 175, or Traxter 7400, we've got everything you need to address problems and carry out full repairs. From suspensions and starters to transmission and fuel tanks, we stock hard to find Can-Am parts that will get your ATV up and running again. 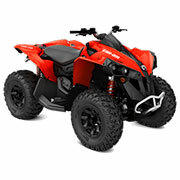 If you need parts for your Can-Am Side x Side vehicle, we offer options from 2011 up to recent years. Whichever model you have—the Commander, Defender, Maverick, or Traxter—you can find the right parts your Side x Side requires to be fully functional again. From small repairs to full-on restoration, our inventory can help get your vehicle back in great condition. From drive systems and cylinder heads to steering and frames, we have it all. Need to do repairs or replacements on your Sea-Doo watercraft? We have an enormous inventory of Sea-Doo OEM parts to get your model running smoothly. Whether you've got a Spark 900 ACE, GTI 90, Wake 155, or RX 5580, we have all the parts you need for models from recent years and all the way back to 1996! From body frames and propulsion systems to air intakes and seats, get your Sea-Doo fully repaired and back out in the water. With a massive inventory from recent years to 1996, our Ski-Doo OEM part offerings are immense! If you need to fix cosmetic or internal facets of your snowmobile, we've got the right parts to help you remedy problem areas. Whether you ride the Expedition Sport 550F, Mini Z, Legend V-1000, or Skandic Wide Track, we offer the parts you need to finally get your Ski-Doo running at 100%! No matter what your snowmobile needs replaced—batteries, brakes, hoods, seats, decals, or transmission—we have the best OEM parts to help you get back out on the snowy terrain.